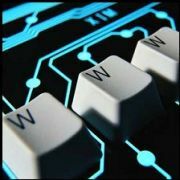 My goal in creating this blog is to share my ideas and view on technology and other topics that interest me. By doing so, hopefully we can create a conversation that will leave us with more than we each started with. Microsoft recently coughed up some change and bought comparative shopping site Jellyfish.com. Jellyfish offers its customers a cut off the advertising revenue by offering rebates on purchases made through the site. (A cool 50% of the advertising revenue is given back to the customers.) According to Microsoft, this acquisition will give them a way to augment their e-commerce and search offerings. Microsoft offered no specific details about the strategy or the purchase price, but it seems like this deal is consistent with Microsoft’s high potential “small purchase” strategy. Jellyfish is a Madison, Wisconsin based company started in mid-2005. So far, Jellyfish.com says it lists at least 5 million products with a "pay per action," charge rather than pay per click. This value based model is a growing trend in the market and I personally think this is the model of the future. Only time will tell if this will tell if this will stink like Lutefisk or smell like money for Microsoft. Today Microsoft announced their plans to release the source code for the .NET framework libraries with the release of .NET 3.5 and VS 2008. Soon we will be able to download the .NET Framework source libraries via a standalone install and use any text editor to browse it locally. The plan is also to provide integrated debugging support of it within VS 2008. Wow, how things have changed over time! No so long ago I would have told you something like this is just a pipe dream. Sharing the source code and debugger integration is going to be really valuable for .any .NET developers. And being able to step through and review the source will allow us to get deeper understanding of the implementations of the libraries and as a result generating better implementations and quicker problem resolution. I am looking forward to utilizing this unexpected gift from Microsoft. February 20 is the release date for the new BlackBerry 8800c. I am not too exited about another BlackBerry—it’s just another device. Over the years I have searched for the perfect mobile device, bouncing back and forth between Smartphone and BlackBerry without finding the one and only that meets all my needs. At the moment I am sporting a BlackBerry—great for email, but an absolute brick of a phone. So I am very skeptical about the 8800c--which has some new features, but still uses the brick form factor. I will not upgrade this time, but if you are interested in reading more click here. If you try it out and find it to be “out of this world," do not forget to give me a heads up so I can upgrade. Do you have a space problem? Check out this sofa! It looks like it is made out of thousands of thin, flat chair-shaped silhouettes, joined together. If I owned one of these bad boys, I'd fold it up and put it in the closet until I had guests--and then take it out and make the shape everybody is in the mood for. Think about the possibilities if you had this in the office--put it away during the day and fold it out at night to sleep on on software release nights! More good news from Google. A few weeks ago the company created a text index of over 7,000,000 US patents. The new search is called Google Patent Search, and it is a very slick resource. The current version covers patents issued in the 1790s through those issued in the middle of 2006. Future versions will include patent applications, international patents, or U.S. patents issued over the last few months. As always, Google provides a simple and great UI--even serving up images (PNGs for now and hopefully PDF in the future). This is a great search engine and sure makes it easy to look for patents. Try it out and enjoy--and bonus points for you if you can find the patent applications I worked on! Gartner just published the results of an interesting survey in an article titled, “The 2007 CIO agenda." Today I had the opportunity to listen to a presentation summarizing their findings. The presentation was insightful and, over the next few weeks' postings, I will refer back to this report. Cost control continues to be an important business strategy. CIOs continue to feel pressure to deliver more value for less $$$. Increasing workforce effectiveness (#4) points to ITs involvement in dong more than just providing tools and information. Deploying new business capabilities to meet strategic goals (#7) recognizes that IT is expected to go beyond deploying systems to changing the way the enterprise works. Entering new markets, products or services (#9) establishes the fact that IT is expected to play a role in business growth processes. This is a direct reflection on a continued expansion of business expectations for IT. Overall, these strategies are inline with my company’s business strategies. 2007 will be another year of great opportunities and increased demand on IT. Yesterday I wrote about a new great feature of Vista—BitLocker. As we know, the daily loss of computers and data throughout the world is significant. In today's breaking news, the U.S. Department of Veterans Affairs has launched an investigation into a portable hard drive that went missing, along with personal data on thousands of vets (how can things like this just go missing?). Last month, this hard drive disappeared from an Alabama medical facility. The hard drive may (and therefore probably does) contain personal data on as many as 48,000 veterans with more than 20,000 of them unencrypted. The hard drive was external and was used to backup an employee's computer. "We intend to get to the bottom of this, and we will take aggressive steps to protect and assist anyone whose information may have been involved," VA Secretary R. James Nicholson said to the press on Friday...something that offers very little comfort to the 48,000 veterans whose personal information was compromised. The VA also investigated reports last August of a theft of a desktop machine from the Reston, Va., offices of Unisys, a subcontractor hired to assist with insurance collections for VA medical centers in Pennsylvania. The agency estimated that the computer contained information on about 38,000 veterans, including 2,000 who were deceased. The saga does not stop there—last May another external hard drive walked away--this time with personal information on more than 26 million veterans and active military personnel. These people have risked their lives for our country and freedom—we need to keep their personal information secure. 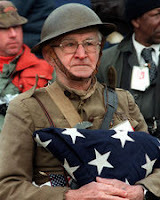 Microsoft should step up to the plate and make BitLinker available for all of us--including our veterans. Sony Playstation 3--Is it worth it? Last week I added a Sony Playstation 3 to my gaming console setup. The Playstation 3 has been somewhat difficult to get ahold of. As you might recall from news reports last fall, after years of waiting for this new gaming platform, people lined up outside retailers for days to get their hands on one. Now, supply has exceeded demand and PS3s are becoming more widely available--as long as you're willing to pay the $600 asking price. Ouch! Comparing it to my Xbox 360, I do not see a lot of additional features to justify the hefty price tag. But there are some. One significant one is that it can integrate with your PSP. The mini-USB cable, included in the box, can be used to connect your PSP to your PS3. The PS3 feels heavy and solid. The SIXAXIS controller, on the other hand, feels very light, as it has no motors. After about a week of playing, however, the weight of the controller is not an issue. The controllers are charged over USB and you cannot replace the battery. I would like to see a way of changing batteries for the controllers purely from an environmental perspective (a lot of these controllers will go in landfills when their battery dies). One of the biggest glitches is that some games get down-sampled to 480p if you do not have a HDTV that accepts a 720p signal (whereas the Xbox 360 would just upscale it to 1080i.) Sony cannot fix that. Ultimately, the value of a PS3 will depend on what you are looking for--but most people, including me, think that this console is overpriced. Sony might agree. According to Sony VP Takao Yuhara "[Sony] may look at the price as part of our strategy to expand the market when the timing is right,” Sony wants to break even in its game division by March 2008. It is sooooo cold outside. I am sitting in front of the fireplace with my feet up listening to my iPod preparing myself mentally to go skiing tomorrow in -16 degree temps (with a -45 wind chill). Brrrr. Surfing the net, I came across this great cap. Looks like the ticket for a cold winter day. This unique cap from Nike lets you keep you head warm while rocking to your favorite tunes. The cap has a fully functional iPod Nano click wheel on the outer rim. The price tag is about $60 USD and I do not think that is too bad for keeping warm while dancing (or skiing) to your favorite music. During the kickoff of Vista, Steve Ballmer was asked, "How important is BitLocker?" Ballmer quickly replied, "hugely important." 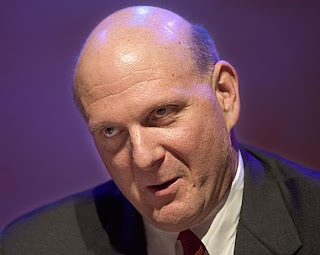 Not too surpising knowing Ballmer’s personality and flare for the dramatic. BitLocker is Vista's tool for whole disk encryption. It was created in response to the loss of data from an extensive number of lost/stolen laptops. BitLocker encrypts the entire disk, protecting the data from unwanted access. This will put a lot of pressure on vendors like PointSec who have created an industry around this feature. Unfortunately, BitLocker is only available via Microsoft's Software Assurance (SA) program. This is aimed at large enterprises and requires users to license the Ultimate version of Vista. Ultimate is priced at 66% over the regular Home Premium version. As a result of this, a large number of users--home and business versions customers--will not be able to take advantage of these great features. If Ballmer and Microsoft have truly brought a competitor to the disk encryption market, I am sure we will see these features propagated into other versions of Windows. The million dollar question is--are these features excluded from other versions due to missing components (such as Web-based key recovery)? More to come on this, I am sure. Security is important for all of us and, therefore, for Microsoft. Last Sunday Microsoft researcher Jim Gray went for a solo sail trip off the coast of Northern California. He was expected back the same day. The U.S Coast Guard has had an extensive search for the Microsoft researcher. On Friday they stopped the search for the 63 year old award winning researcher. "The U.S. Coast Guard will conduct one more massive search effort for Dr. Jim Gray before considering case suspension this evening," the agency said in a statement Thursday. A search that did not bring Jim back. Click here to see Jim home page. 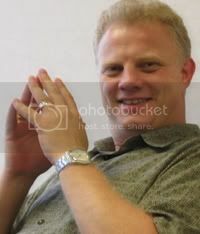 Jim is a manager of Microsoft Research's eScience Group. His focus and interest are in databases and transaction processing systems. I am hopeful Jim is alive and will be found soon. But the story of his disappearance should remind us that life is precious and ours can be gone in--literally--a heartbeat. Take risks in good measure--you want to enjoy your life for as long as possible. Today IBM announced that it has agreed to purchase FileNet for $1.6 billion. FileNet is one of the leading companies in content and document management software space. The company is headquartered in Costa Mesa, California, and has been around for an impressive 24 years. Last year, FileNet generated about $422 million in revenue. IBM will integrate the FileNet product into its content management software. This will be interesting, since the IBM content management software has significant overlap with FileNet’s P8 suite. (An example of this is the fact that both companies offer Business Process Management (BPM) systems. Apparently, the purchase was done mostly to give IBM access to FileNet’s customer base. "This leaves a company like FileNet in a difficult position," said AMR Research analyst Jim Shepherd. IBM will pay $35 per FileNet share (a slight premium over Wednesday’s share price). The transaction is expected to close in the fourth quarter. It would appear IBM is on a spending spree. The FileNet deal comes on the heels of the $740 million purchase for MRO Software (an application for managing physical assets) and privately held software company Webify Solutons. IBM's software group has bought more than 50 companies in the past 10 years--suggesting that the larger companies just continue to get larger! We are a customer of FileNet. Do you think we should be concerned for the future of the FileNet software? If people like Mr. Shepherd are correct, that this is an acquisition purely to acquire customers--and I think he is correct--then we should be concerned. How to print to PDF free! I often need to print my documents to PDF. In the past I have purchased a product directly from Adobe to provide me with this function. These are all great tools—Easy to install, easy on the pocketbook and with the features you need. What more can you ask for? Go to it, install it and enjoy it! August 6 was a major milestone in the history of technology. 15 years ago, Tim Berners-Lee released his WWW project onto the internet. This was the start of the World Wide Web (“WWW”). It is amazing to me how 15 short years have changed the way we work, communicate, and, to some extent live (or at least change our lives)--maybe to the point where we should celebrate or at least recognize the date that started it all. I wonder what the next 15 years will bring to us?